← Heston Vs Jamie, a retail bunfight. It is time for an alternative view, one taken from the perspective of the consumer who now has all the knowledge necessary to make their own informed decisions, and they are exercising that power aggressively. The world has changed, so too should our representations of the manner in which our marketing activities are managed, and the nature of customers and potential customers reaction to our efforts to meet their needs. 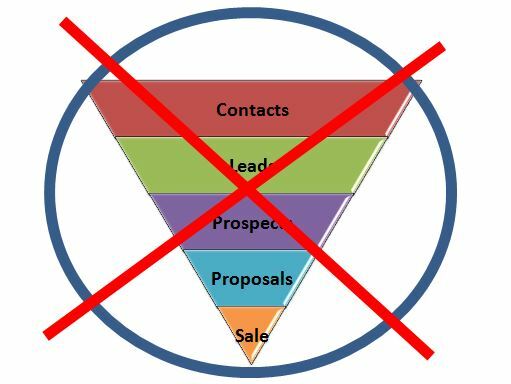 Seems to me that we would be better off thinking about the process in two funnels, one that represents our e-marketing activities, the other the way in which those messages are received. The first is the marketing funnel, which has replaced the sales funnel, an obsolete metaphor in a digital world. 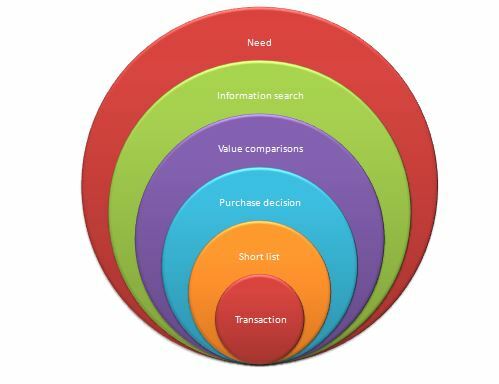 Below is my way of illustrating the new Customer purchase process. Need awareness. This can be either explicit, one that emerges when the consumer recognises that a purchase is necessary, such as when your printer dies, you need a new one, today! The other type of need is implicit, which is generally uncovered by a sales process, rather than by the consumer in isolation. Information search. Google has revolutionised this part of the process, by taking the power of information from the seller where it has been for all of human history, and giving it to the buyer. It is this point at which the marketing process now kicks in. Value comparison. The value equation is different for every person, in every situation, but the components are unchanged. Features, availability, warranty, design, capacity, and many others all feature in varying degrees, the means by which we communicate the bundle that makes up the value, so is common to every situation, is price. Whilst the whole process is usually depicted as an ordered, sequential one, in which the various marketing automation software options can provide order and flow, in reality is is usually a chaotic, messy, and iterative process. This entry was posted in Customers, Marketing, Sales and tagged communication, customer, Marketing, retailer, Sales, Social Media, Strategy. Bookmark the permalink.